This burger is extremely simple to make with the hardest part balancing the ingredients on top of each other. I used free range chicken for the burger but the meat can easily be substituted for grass fed beef as one example. The burger is quickly made in the food processor and everything else that goes on top is up to you. I topped this burger with a poached egg that still had a soft centre which added some moisture to the dish. On top of that were cucumber slices, grated carrot, tomato and spinach leaves. 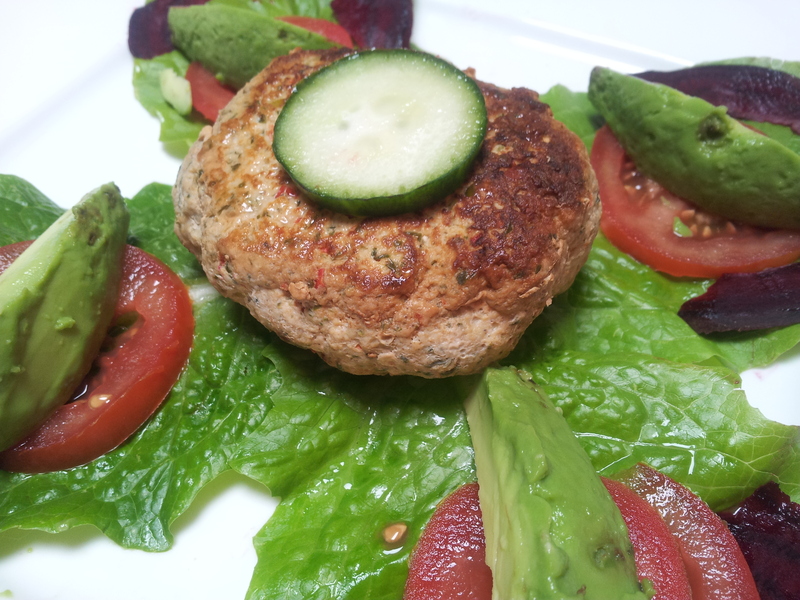 I surrounded the burger with more spinach leaves, raw cashew nuts and sliced avocado. I used frozen chicken breasts that had thawed slightly which meant the burgers were very cold and they held together well. If you use fresh chicken place the burgers in the fridge for about 30 minutes before cooking. 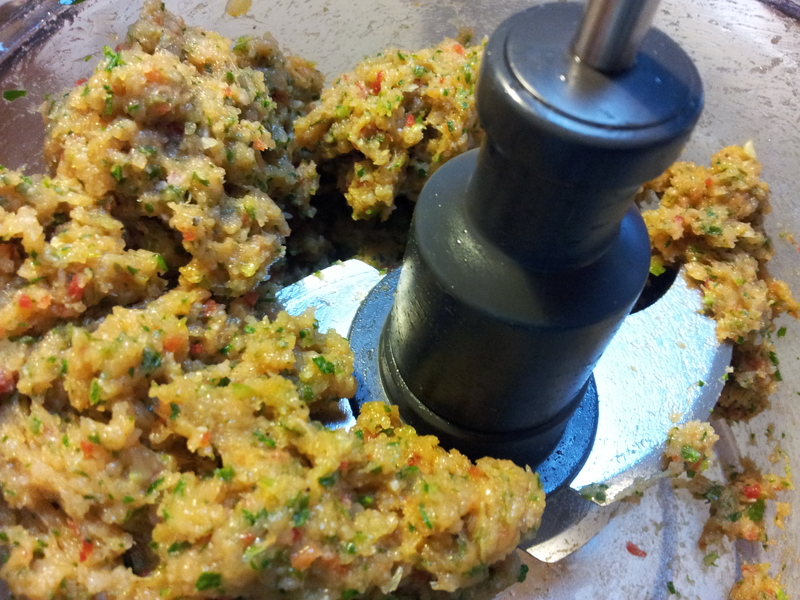 Place all of the burger ingredients in the food processor and blend. 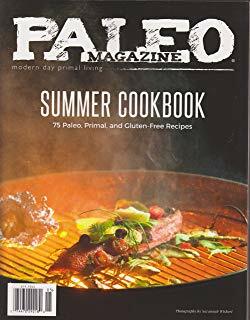 I used an electric frypan to cook the burgers and about 1 tablespoon of coconut oil. You could also cook them in the oven. Form the mix into patties the size you require. I made smaller ones for the children and larger ones for the adults. Place into the heated pan and cook until golden on both sides. 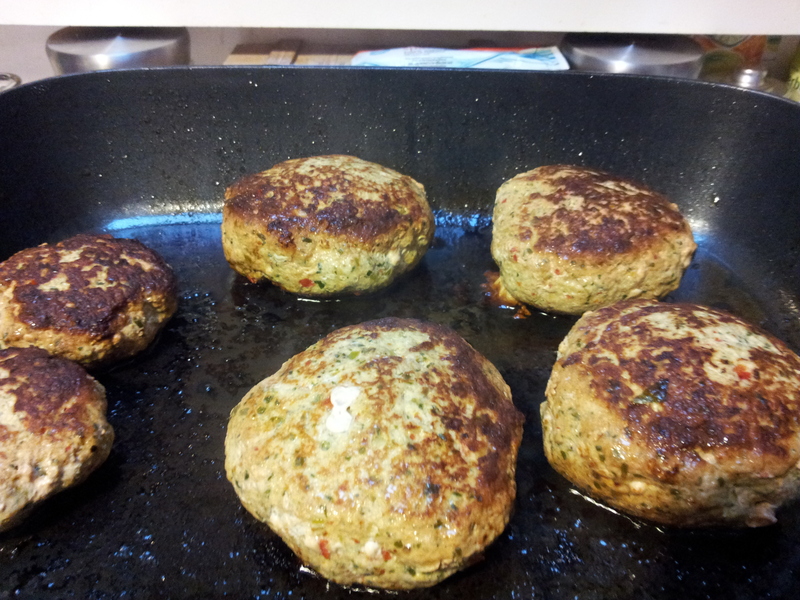 Because the burgers were quite thick l used the lid on my pan and that helped them to cook through. 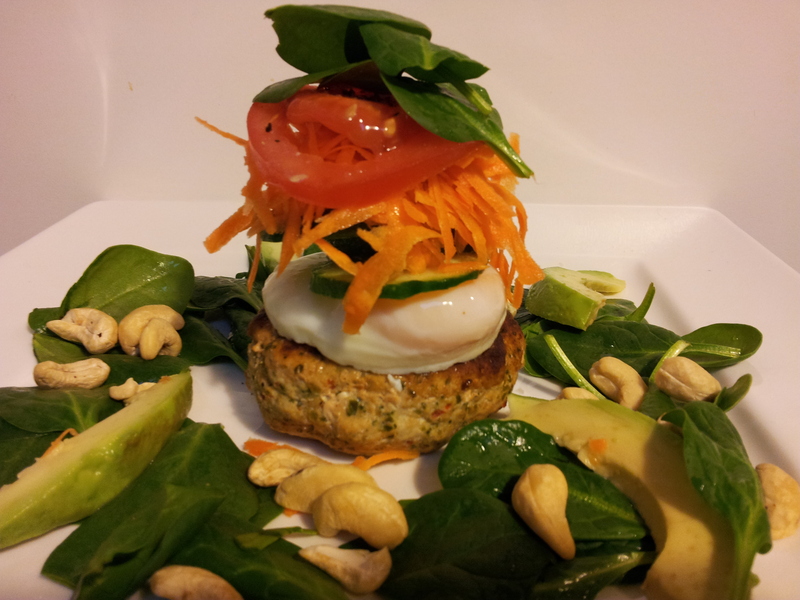 While the burgers are cooking prepare the salad ingredients and poach the eggs just before serving. The whole meal can be quickly assembled and eaten straight away. Leftover burgers for lunch the next day. These burgers are very moist and tasty, providing a wonderful base for whatever ingredients you choose to add and sweet potato chips would be lovely with this meal.